Speed. Adrenaline. Emotion. Exclusivity. Ascari, the longest circuit in Spain, has become a treasure for luxury race cars’ lovers. Located in Sierra of Ronda, this so exclusive club, affordable just for a few, takes care of every detail, such as offering a helicopter transfer service to the circuit’s heliport for members travelling to Málaga by plane. Let’s know a bit more about this paradise of speed and luxury. If you want to rise up your adrenaline, Ascari is your place. First, you should know that to drive your own car along this racetrack you must pay 19,000 €. Almost nothing. However, Ascari offers engine’s lovers the called ‘Driving Experiences’ at a lower price, that include a professional instructor, complete catering for the pilot and the partner, and a gourmet lunch, among other benefits. 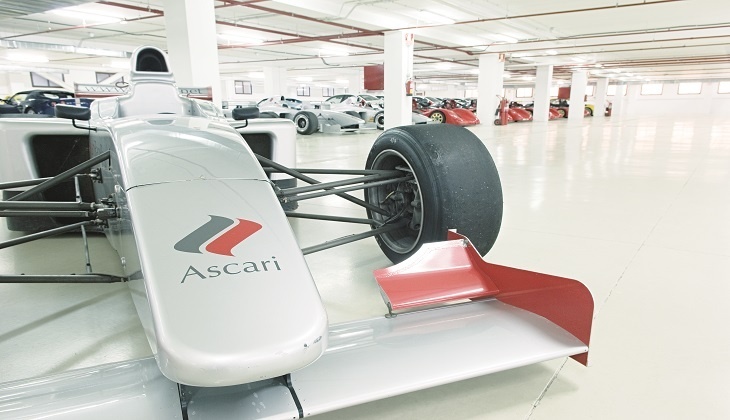 In Ascari you could drive 220 km/h during its 5,000 metres circuit and enjoy other many facilities and services, as 4x4 tracks, karts, buggies and a heliport for VIP clients. Another option is staying at the Ascari Country House, a luxury villa with a family atmosphere, from where you can practise numerous activities related with Nature, culture or sport. Swimming pool, solarium and bar are offered in these facilities, that invite you to relax in an unforgettable environment, and which are located just 50 kilometres from Marbella and Puerto Banús. And Ferraries, cars of the private collection of Ascari’s owner and mythical models, for example the one Michael Schumacher won the World’s Championship with in 1995.